This gun fear insanity is even affecting rural areas. Allen Parish is South of Ft Polk (Soldiers in the audience will probably have passed thru it...bad hunting country) not far from Oakdale. To say its the boonies is an understatement. 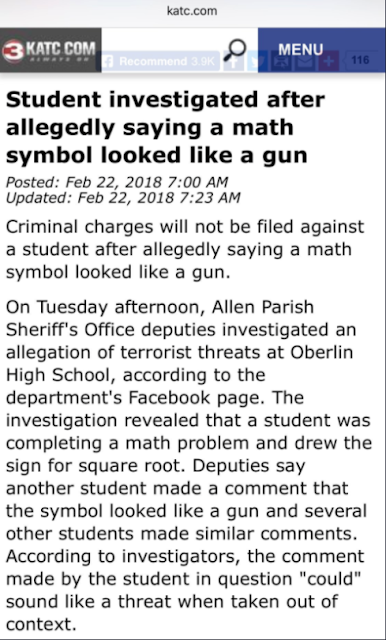 What kills me is the response by the school and Sheriff's Dept. The people in this area wear hunting camo to church! You can throw a stick and hit a 4x4. You walk 10 feet and you're in a wooded area. 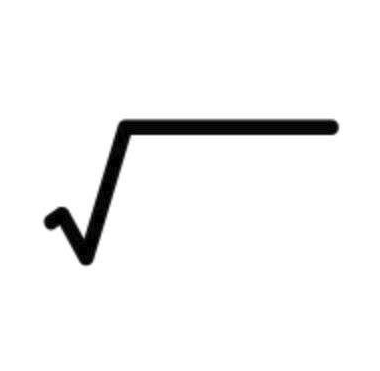 So why the reaction to a simple statement that the symbol for square root looks like a gun? My only guess is that we're seeing an over reaction and an almost pavlovian desire to have another incident. 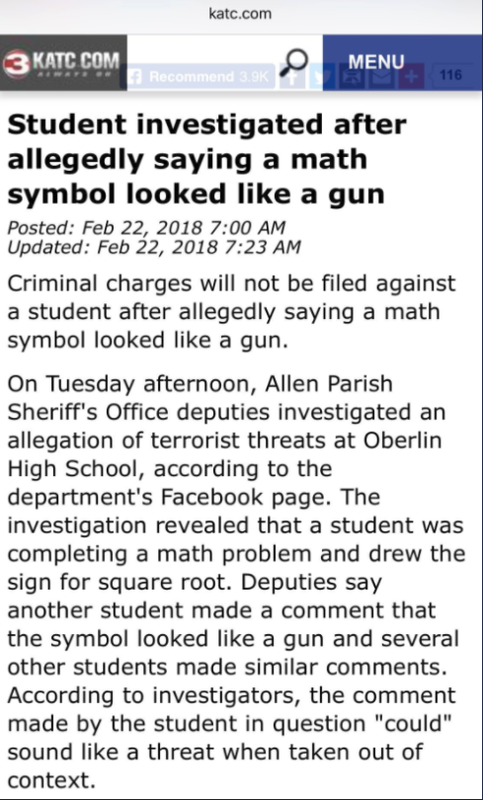 I expect this kind of craziness from California. I expect it from the idiots in New York or the loopies in the Northeast but here?